Every girl dreams of becoming a princess. do you know? Welcome to "KISSOURBABY" and let your child have a dream! Pink and purple, blue and Red, a variety of colors to choose from! Fabric: painless and itchless, very suitable for children's skin! Applicable occasions: Wedding & Baptism & Party & Graduation & Piano Performance & Program Performance & Christmas & Easter, Even Watching Games and Everyday Wear! Can be used for skirts for any occasion! For the princess's dream, KISSOURBABY will not regret it! *Please confirm the dress purchased from "KISSOURBABY" before ordering, and do not purchase any imitation from other stores. *Please check the left size drawing before ordering. * Our children's wear aims to provide space for growth. When choosing the right size, height is better than age. * In order to provide our store with a more elegant princess dress, you can choose any style in our store! note: Each child's height is not the same size, please refer to the actual size given on the left to choose the most suitable size for your child. I accept any reason for return, but make sure that the goods do not affect the second sale. WASH: gentle lace wash and hang dry recommended. 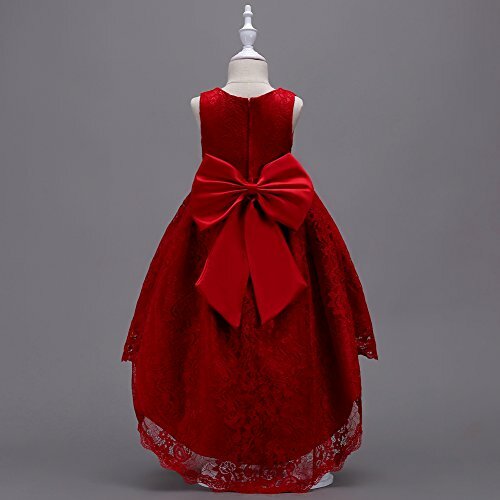 Dry clean is also an option, it will lengthen the use of your KISSOURBABY clothes OCCASIONS: suitable for special occasion like wedding party, holiday party, first communion, ceremony, baptism, birthday, pageant, artistic photo shoot, beach, family gathering, formal event etc. Suit for spring, summer, autumn, winter all seasons Worried about the lack of texture skirt? Want to be praised and admired at the wedding party? Unique mesh embroidered sequin skirt with a petticoat to make your baby more stylish, beautiful and beautiful. 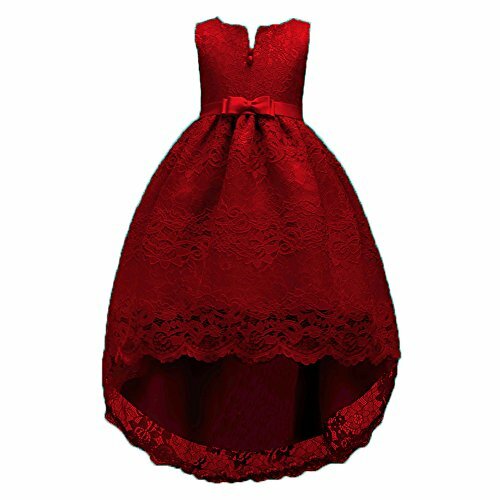 Choose this unique princess dress for your child!